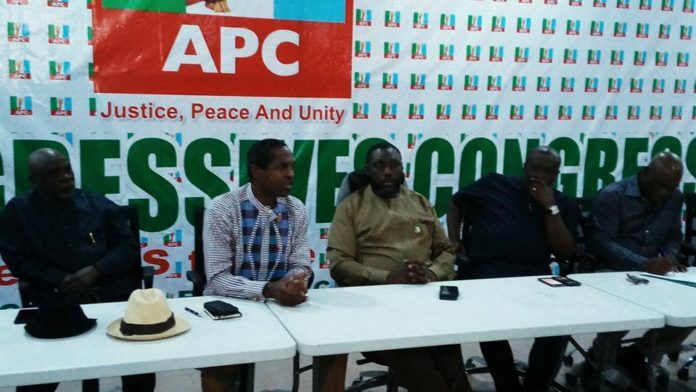 The All Progressives Congress, APC, and its factional Governorship Candidate in Rivers, Tonye Cole on Thursday lost their appeals at the Supreme Court, seeking to enable them participate in the 2019 general elections. The apex court dismissed the separate appeals filed by the APC and Cole on the grounds that the notices of appeal, which brought the appeals, were incompetent. The first appeal was between the APC, the Appellant versus the Peoples Democratic Party, PDP, the Respondent. The APC, represented by its Counsel, Jibrin Okutepa, had prayed the court to overrule its own decision, which had earlier upheld restraining order which barred APC from participating in the elections. However, Counsel to the PDP, Emmanuel Okala, drew the attention of the court to the Notice of Appeal of the APC which was before the court. In the ruling delivered by the Acting Chief Justice of Nigeria (CJN), Justice Ibrahim Muhammad who led a seven man Panel, agreed that the Notice of Appeal by the APC was defective and incompetent. In the second appeal filed by Cole through his Counsel, Tuduru Edeh, the Notice of Appeal was also wrongly addressed to the Court of Appeal instead of the Supreme Court. Therefore, with latest decisions of the Supreme Court, all legal issues or controversies concerning Rivers APC in relation to the 2019 general elections, had been laid to rest.